Twist’em! Wear’em! Take’em everywhere you go! 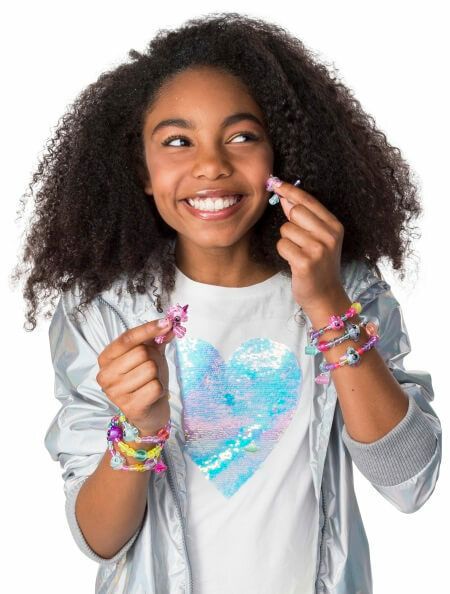 Twisty Petz are the glitzy bracelets you wear and transform with a twist! 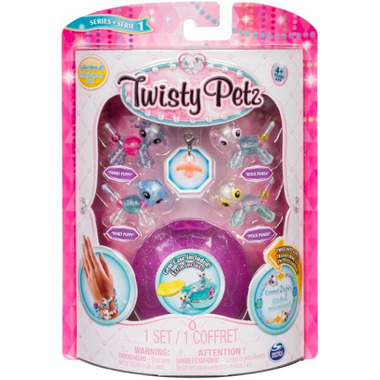 This glam set includes: four Twisty Petz Babies made of dazzling gems; a sweet charm; and a sparkling jewelry case! To create a bracelet, connect any two Babies together and clip on your charm. Just like that, you have a fabulous bracelet to wear with any outfit! To bring your adorable animals to life, twist your bracelet into a puppy, kitty, panda or even a unicorn! When you’re not wearing your jewels or playing with your pets, keep them safe in the gem-shaped jewellery case. With a glitter-flecked lid, and luxe interior, this case is a stylish way to store your Twisty Petz. Collect all 24 and create blingy bracelets, backpack accessories and more! Explore all the charming possibilities of Twisty Petz!